I was on my home one day from a busy day of shopping and driving through the country. It was a road that I travel frequently and it was a gray and gloomy day. As I was going around a corner and down a small hill, I noticed an old barn set back from the road a bit. Now, if you know me, you will know that I love seeing old barns and farmhouses alongside the road. I love seeing what they represent; the hard work and kinship that the family farm requires. In Iowa, where I grew up, the beauty of the landscape with the picturesque barns, silos and farmhouses are a spiritual beauty to me. Especially with the rolling hills surrounded by rows of corn with their stalks pointing high in the air and their shiny leaves waving in the breeze. I always feel so close to God and it is one of the most beautiful sceneries to me. This old barn that I noticed was old and worn. No remains of paint were on the building; the wood was dark from years of being neglected from the elements. Boards were missing from the roof and also the sides of the walls. You could see through the entire structure. The most obvious fault was that it was leaning very noticeably to the west. It leaned so far that it looked like it could topple over at any moment while looking so forlorn and so dilapidated. It made me sad that a barn was in such disrepair that it no longer served any purpose. It was an eyesore that was on the brink of collapse. It looked as if one board moved or fell, that the whole structure would fall to the ground. The analogy was instant to me. 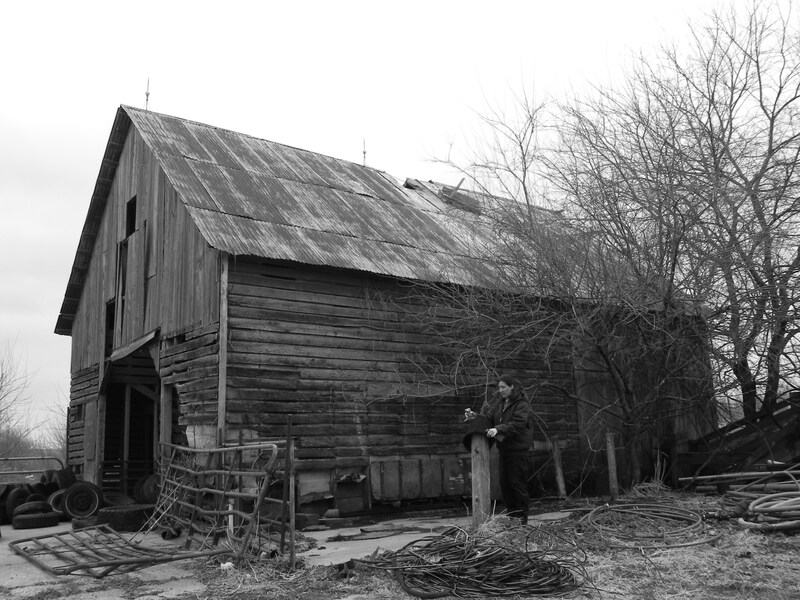 That old dilapidated barn is me. I am worn out and exhausted; I feel like I am falling apart. I feel that I am out of balance that if one thing in my life shifts, that I will fall apart with it as well. Between church, school, shuttling my kids around, helping my husband with the guttering business, keeping up with the constant data entry and keeping my house clean at least to the point of where I am not embarrassed if someone comes by. Add upcoming church and family obligations to that list and I am feeling overloaded and overwhelmed. And if I ‘m feeling this way, I am probably not too pretty to look at just like that old barn. But that barn has not fallen. It has been that way for years. It’s always been there for as long as I have lived in Oklahoma (going on 20 years). It has weathered storms and the elements for years and yet it still stands even though it looks like it can’t remain standing for much longer. I am still that barn. I am tired but I keep going. My strength comes from God and the endurance that He has given me. I have weathered the daily hustle and bustle of life and I remain intact. I have not fallen, I have not collapsed, and I am still standing. Maybe it’s time to slow down, relax about the clean house, don’t get so intense about meeting my weekly work deadline, and enjoy the time spent with my husband while I work alongside him. I need to take the time to be new and improved; to be present in my kids’ lives; to slow down and enjoy life. Maybe all I need to do is slap a new coat of paint on myself and not just stand and survive but to stand and thrive. Does a pedicure with freshly painted toenails count as a new coat of paint? I think it does! This could use a new coat of paint.